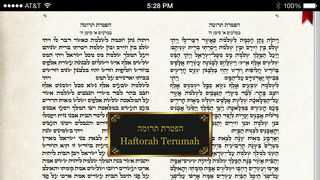 Now you can practice for your Bar Mitzvah with an iPhone & iPad or Android app that helps you learn to read your Bar Mitzvah Parsha. 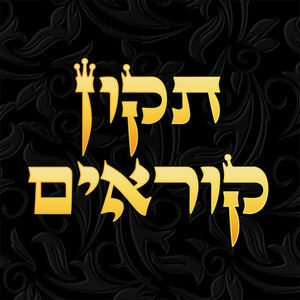 The app is an interactive Tikun Korim. The Tikun works on both the iPhone and iPad and has many features to aid in learning your reading. The layout of the Tikun is specially designed to fit the iPad or iPhone, being about half the height of a normal Tikun. 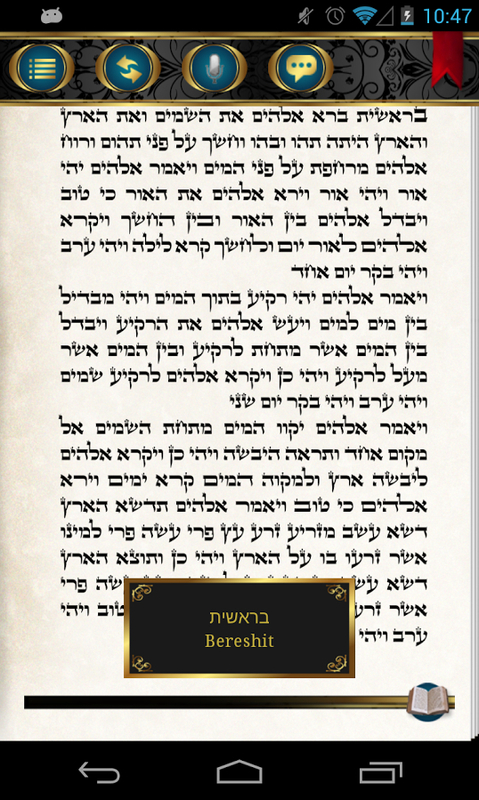 It works in both landscape and portrait mode; where landscape mode has the Torah view on the left and the Ta'amim (Cantorial notes) on the right, and portait mode shows only one view at a time with a quick toggle switch to flip between the two. 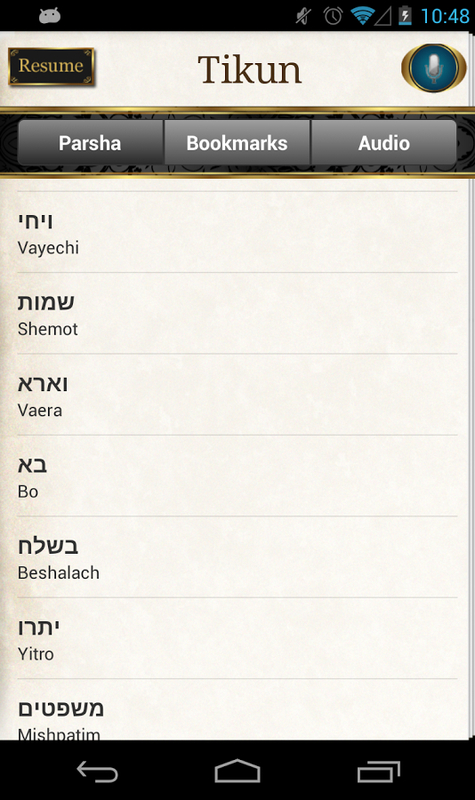 There is a bookmark feature for quick access to the parsha you are studying and the ability to record and email that recording to your friends and Bar Mitzvah teacher. Also included is a Ta'amim Chart with audio by a professional Bar Mitzvah teacher, so you can learn how to lain on your own. 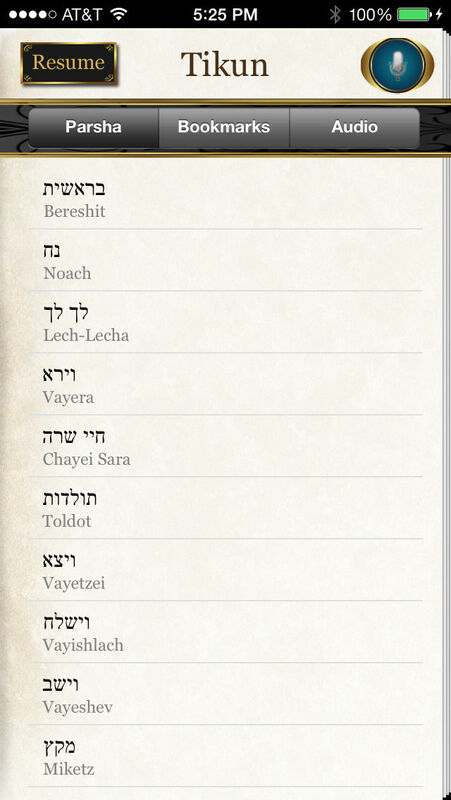 Included is all of the Torah, Haftorahs and Megillat Esther, Shir Hashirim, Ruth, Eichah and Kohelet! The typesetter for this Tikun is by Divrei Emes. 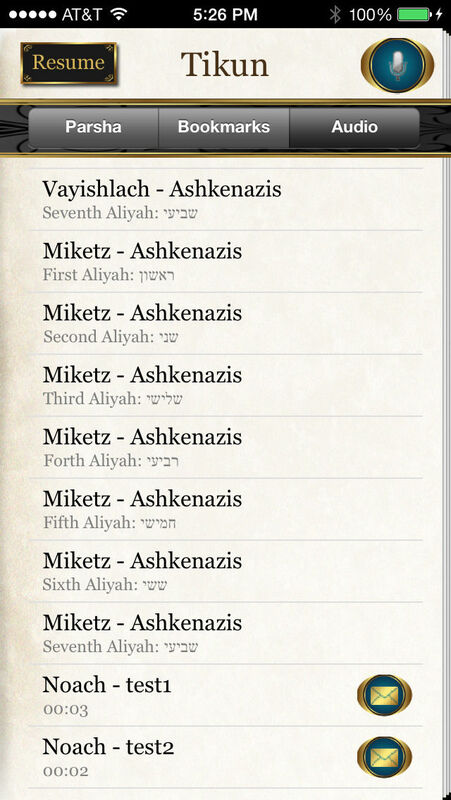 Audio (available as in app purchase) for Ashkenaz parshas were recorded by Ira Slotnick. 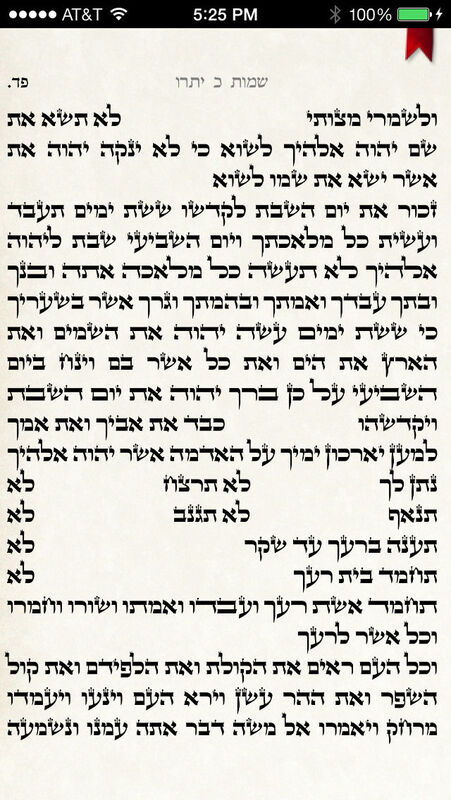 Audio for the Sephardic parshiot were recorded by Rabbi Baruch Mishaan. 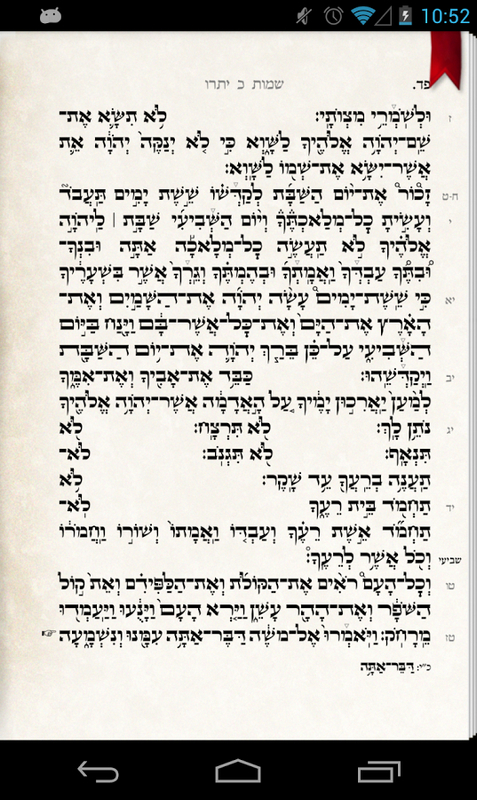 Professional Baal Korim will appreciate the clarity of the text, Shvah Na and alternate opinion notation. 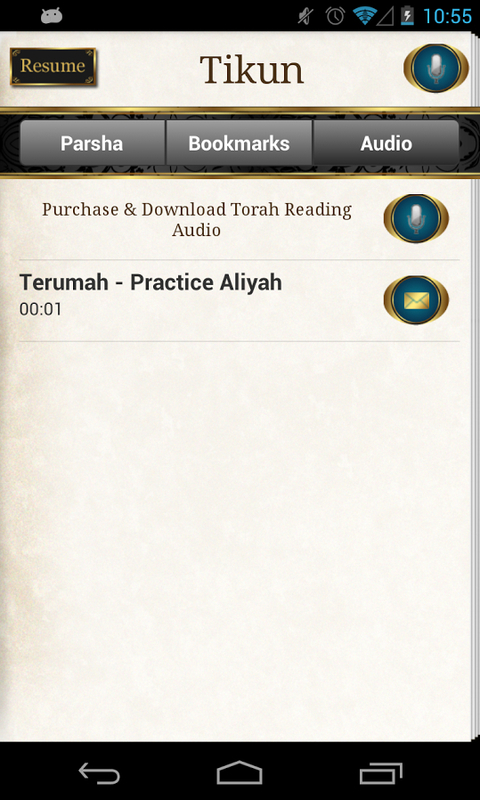 * To access audio for purchase, click on the Parsha menu and click the button with the $ on it. 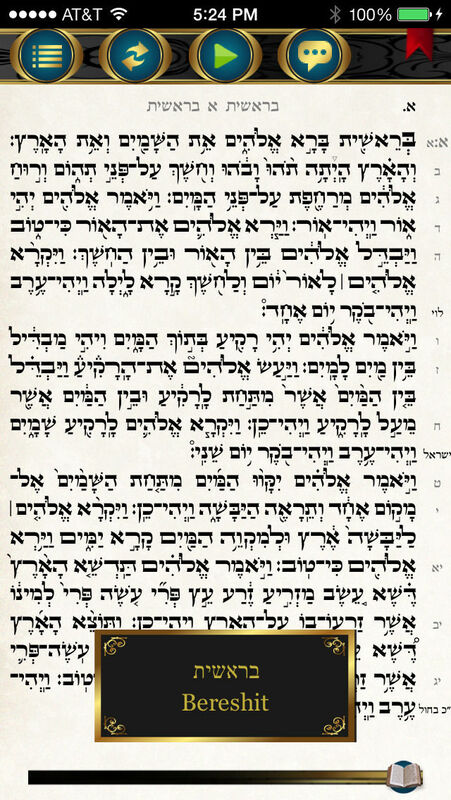 The entire Torah is available for Ashkenazic and Sephardic recordings.